When it comes to understanding the full array of housing options in Chicago, you needn’t be confused when you are considering a choice among the “Big Three”— single-family homes, condominiums, and cooperative (co-op) apartments. Most people have a clear idea of what it means to buy a freestanding, single-family house; condominiums are a concept people can grasp in a simple phrase, “an apartment you own. Basically, a co-op is different from a condominium only in its legal and financial form— the essential idea of ownership is the same. But instead of being simply “an apartment you own,” you are purchasing shares of stock in a legal entity, usually an Illinois corporation, that owns the real estate. Along with the shares, you receive a Proprietary Lease that entitles you to occupy a certain unit. Instead of a deed, you own shares in the whole building. The concept for co-op apartments is rooted in historical notions of “economic democracy” that originated in European cities, promoting the idea that even in multi-unit buildings, monthly rent could be replaced with a possession and equity structure that mirrored the advantages of homeownership. In Chicago, co-ops were the first form of apartment ownership, built between 1911-1929. The first “high rises” along the lakefront, these classic high end vintage or pre-war buildings are renowned today for their grand and gracious floor plans and architecturally significant details, similar to the historical buildings and best addresses along New York’s Fifth and Park Avenues. 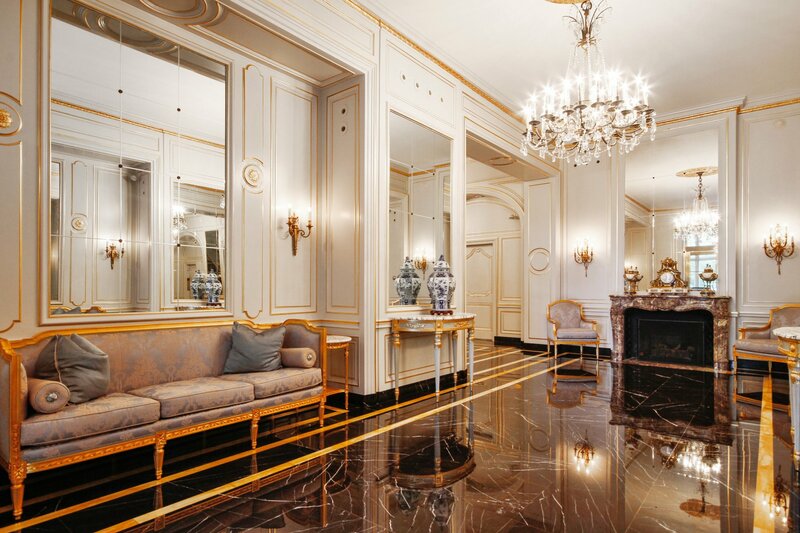 A classic co-op conjures scale, grace, and elegance with lobbies and shared spaces that match the architecture and aesthetics of the homes within. High ceilings, classical millwork, original fireplaces with many still wood burning, formal dining and living rooms, lush libraries, bedroom suites, and large kitchens with butler’s pantries and maid’s rooms, the perfect size for today’s home office, hark back to a time when gracious living would not be compromised just because you resided twelve stories above ground. Square footage in co-ops rival that found in single family homes, and, with the lake, parks, and city skyline so near at hand, expansive views as well. The co-op board approval process varies by building, but, in general, you will provide a confidential personal financial statement, sometimes, the first few pages of the most recent two years of tax returns, a narrative credit report, and several personal and professional letters of reference. After the co-op board has reviewed these documents, a personal interview is scheduled.